When was the last vacation you took to a Desert paradise? 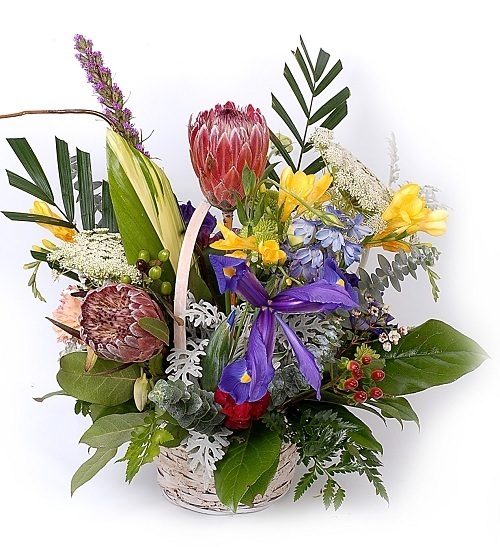 Here, Protea blooms against a backdrop of palm fronds, Ti leaves, and leather fern. Irises spray outward to create a splashing effect.